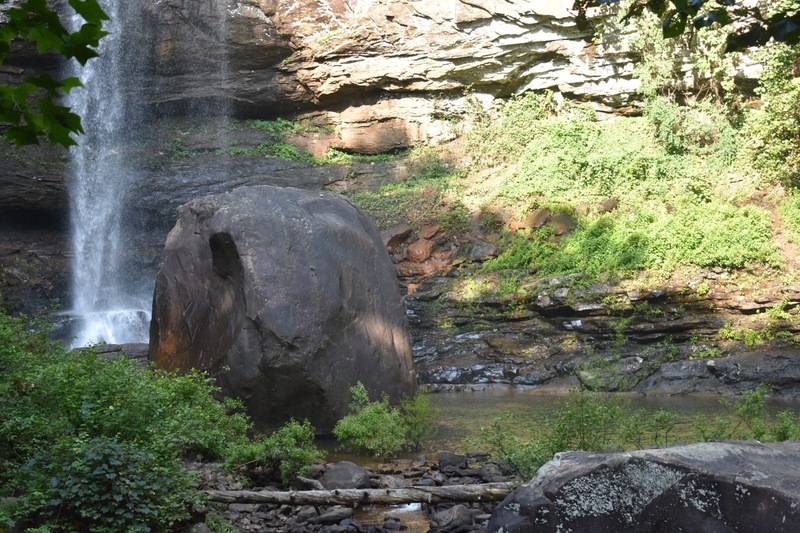 Cloudland Canyon State Park in northeast Georgia is a great place for a day trip or weekend camping trip from Atlanta or Chattanooga. 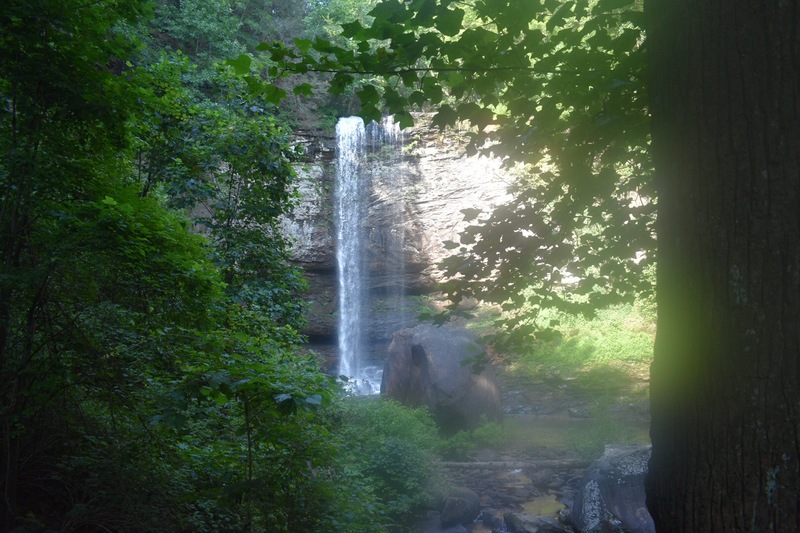 The aptly named Waterfalls Trail takes you to the parks two largest waterfalls, Cherokee and Hemlock falls. The trail is only 2.1 miles round-trip but is also entirely a steep stairway descending into the canyon so going back up will wipe you out. About half a mile in you will reach the 60 foot Cherokee Falls. Cherokee drops into a large pool before turning back into the small Sitton’s Gulch Creek. 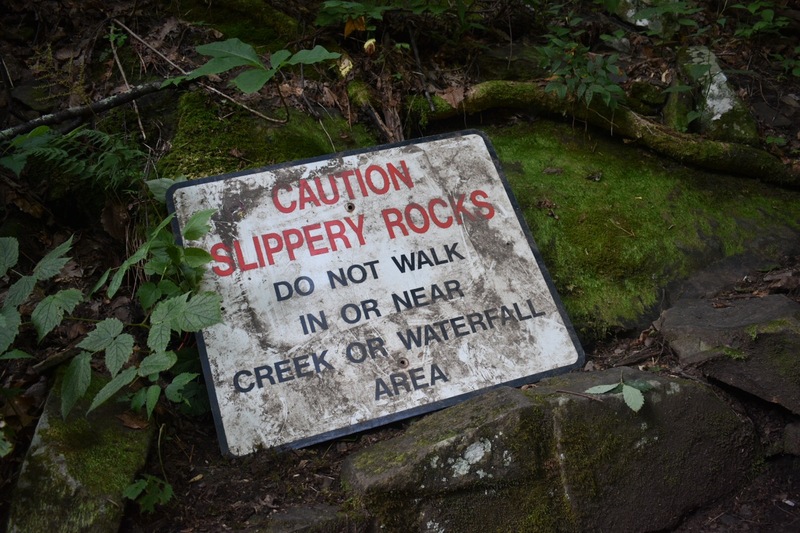 A little over half a mile later you will reach Hemlock Falls. Hemlock is 30 feet taller than its upstream partner and splashes down onto the rocks below. Though Hemlock is more impressive it’s view is somewhat obstructed by a large tree and a giant boulder that can’t help but make you question where such a large rock fell from. A lot of people try to get a better view by leaving the platform and getting closer to the Falls but you have to walk past multiple signs warning you to not leave the trail so you should probably not do this. The trail continues past Hemlock Falls and turns into the Sitton Gulch Trail but most people turn back up towards the canyon’s rim. The hike won’t take you more than an hour and gives you two beautiful waterfalls to enjoy as well as a bit of a workout on the way back up! 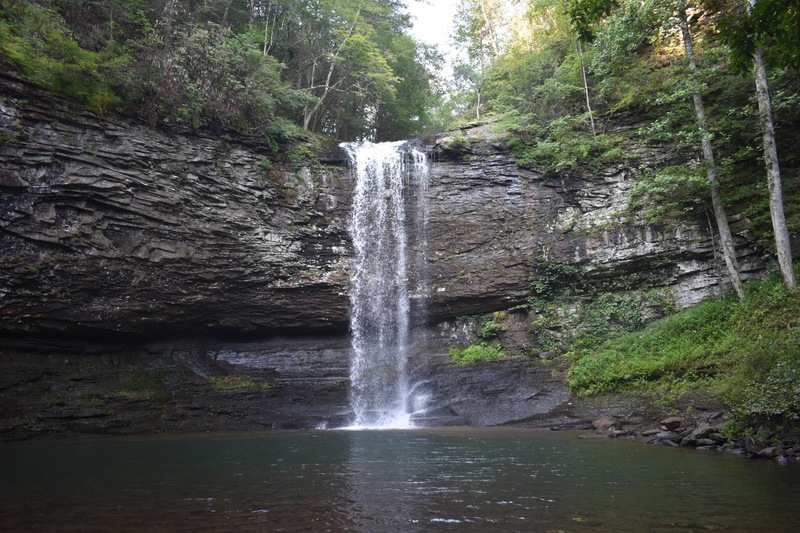 Whether you live nearby or are traveling by I’d say that Cloudland Canyon is worth the visit for sure! The trail around the upper edge is great as well. Tent camping area is One Star, too open. Cabins are beautiful. Love N.E & N.W. Georgia! I’m too old for that these days. Cabins! My fave spots in GA are Unicoi (Helen), Volga (Blood Mountain is awesome hike), and Red Top Mountain. Unicoi is great! I spent a lot of time there growing up! Blood mountain is one of my favorites in the state! And yeah red top is real close to where we live! Next time you’re headed to Gators Country, let me know. Be happy to suggest a few, for tent, RV, or cabin. From Fort Clinch down to Bahia Honda–good stuff! God Bless!